Are Inactive Ingredients in Drugs Really Harmless? Why Do Kids With Eczema Develop Food Allergies? MONDAY, March 25, 2019 (HealthDay News) -- When it's finally time to store away your winter coats and boots, it's also a good time to rid your home of the allergens that accumulated over the winter, an allergist suggests. 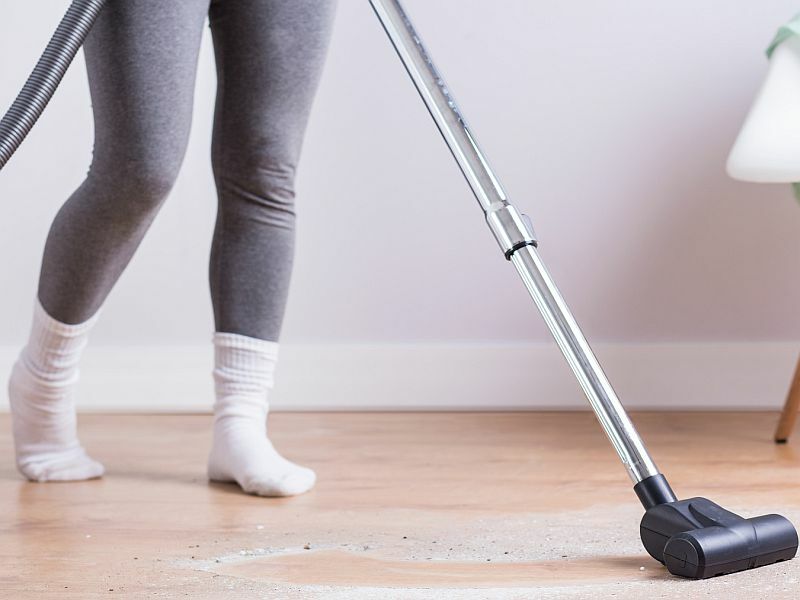 "If you aren't someone who regularly undertakes spring cleaning, consider tackling it this year," said Dr. Todd Mahr, president of the American College of Allergy, Asthma and Immunology (ACAAI). "A thorough cleaning helps get rid of things like dust, mold, pet dander and other allergens, which may have been making you miserable all winter. Many people think spring and fall is when their seasonal allergies kick in. They might not realize indoor allergens can also cause chaos with your nasal passages and lungs and that a thorough cleaning can help," Mahr explained in an ACAAI news release. Pet dander, fur and saliva are among the allergens that can build up during winter. The best way to control them is to vacuum often and wash upholstery, including your pet's bed. Never let your pet in the bedroom. Change your air filters every three months and choose ones with a MERV rating of 11 or 12, Mahr advised. Fight dust mites by vacuuming regularly with a cyclonic vacuum -- which spins dust and dirt away from the floor -- or one equipped with a HEPA (high-efficiency particulate air) filter. Wash bedding and stuffed animals weekly. Mold is another major indoor allergen typically found in the basement, bathroom and kitchen. Reducing moisture is the key to eliminating it. Use bathroom fans and always wipe away any standing water immediately. Use detergent and water to scrub visible mold from surfaces, and then dry surfaces completely. Keep your home's humidity below 60 percent and clean your gutters regularly to prevent leaks. As tempting as that fresh, warm air outside is, keep your home's windows closed during spring, Mahr suggested, because breezes can bring pollen through open windows. Keep your car windows closed too; use your air conditioning. Mahr pointed out that allergy symptoms can appear before spring actually arrives. By starting to take your allergy medications two to three weeks before symptoms usually begin, you can avoid severe symptoms. If over-the-counter allergy medicines don't help, talk with an allergist, he said. Allergies are an overreaction of the immune system where the body's defenses react to substances such as pollen, food and more. Learn about common allergy triggers and how you can avoid an allergy attack.